Team India for World Cup 2019: BCCI has announced the 15-member squad for the upcoming World Cup 2019. Virat Kohli (C), Rohit Sharma, Shikhar Dhawan, KL Rahul, Vijay Shankar, MS Dhoni, Kedar Jadhav, Dinesh Karthik, Yuzvendra Chahal, Kuldeep Yadav, Bhuvneshwar Kumar, Jasprit Bumrah, Hardik Pandya, Ravindra Jadeja and Mohammed Shami have been selected for the World Cup 2019. Team India for World Cup 2019: The Board of Control for Cricket in India (BCCI) has announced the 15-member squad for World Cup 2019 on Monday. 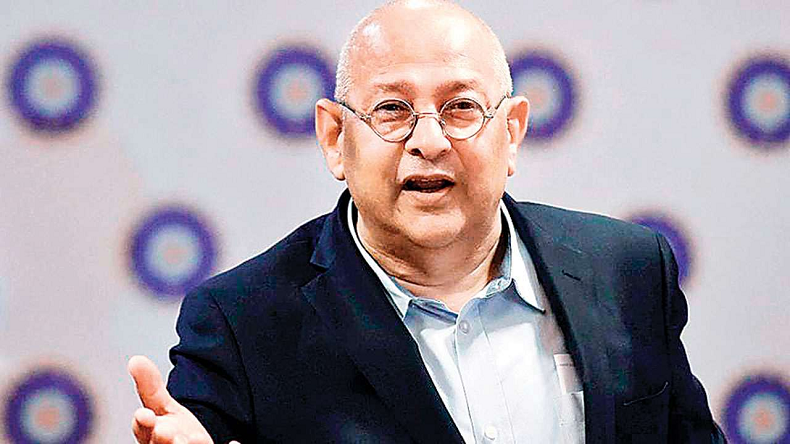 BCCI secretary Amitabh Choudhary and senior selector MSK Prasad today addressed a press conference in Mumbai and revealed the final 15 names who will be going to England and Wales. The World Cup 2019 will commence on May 30 and the finals will be played on July 14, 2019. For the 50-over format World Cup, BCCI selected Virat Kohli (C), Rohit Sharma, Shikhar Dhawan, KL Rahul, Vijay Shankar, MS Dhoni, Kedar Jadhav, Dinesh Karthik, Yuzvendra Chahal, Kuldeep Yadav, Bhuvneshwar Kumar, Jasprit Bumrah, Hardik Pandya, Ravindra Jadeja and Mohammed Shami. Karthik will be the second keeper with Dhoni being the main wicket-keeper. Hopefuls Rishabh Pant, Ambati Rayudu and Ajinkya Rahane have been left out of the World Cup 2019 squad. It looks like KL Rahul has been rewarded for his recent batting performances in domestic cricket and IPL. While the board members have named Dinesh Karthik as the second wicketkeeper for the World Team along with MS Dhoni. Delhi youngster Rishabh Pant who was in the race with Dinesh Karthik has been dropped from the World Cup side. Karthik’s experience was given more weightage than Pant’s pinch-hitting. Addressing the press conference, MSK Prasad said the selectors felt that either Pant or Kartik will only come into playing XI if Mahi is injured. If it is a crucial match, wicket-keeping also matters, so that is the only reason why the selectors went ahead with Dinesh Kartik’s name otherwise Rishabh Pant had almost reserved his berth for the World Cup 2019. Following the big announcement, cricket enthusiasts shared their joy on Twitter and Facebook with good wishes for Virat Kohli and men. That Is a Very Strong @Squad ! There's Alot oF Depth In Batting Like Always With Team India ! Good To See There's #No Rishab Pant ( Irresponsible ) !